As people in a helping profession, many counselors know the frustration of something getting in the way of us being there for our clients. At some point in our careers, we all must deal with scheduling conflicts, illnesses, weather delays and other events outside of our control. Typically, these are temporary setbacks, and we find a way to adjust. Other situations, especially those we don’t feel make sense from a client care perspective, can be particularly frustrating, however. The list of potentially similar circumstances is endless. The good news is that modern technology makes it possible to continue working with these clients through telehealth (i.e., using secure video while complying with the Health Insurance Portability and Accountability Act). In fact, there is mounting evidence that counseling services delivered via telehealth can be as effective as in-person services (see ncbi.nlm.nih.gov/pmc/articles/PMC5723163). Problem solved, right? Unfortunately, there continues to be a significant barrier to this interstate solution: the lack of counselor licensure portability/reciprocity between states. Our professional licensure is “state based,” meaning that we have to apply for licensure in each state individually. Even if we are licensed in one state, we start from scratch in applying in another. Currently, our licensure will not transfer. 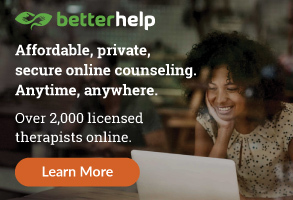 (Note: In October, the American Counseling Association Governing Council approved the initial endorsement and funding of a professional occupation interstate compact for professional counselors that could help to make licensure portability a reality in the future.) This matters for telehealth because we can’t practice counseling in a state in which we are not licensed, at least not without permission. More on that in a bit. I’ve often come across counselors who have made assumptions such as: “Well, my client is going to be there for only a couple of weeks, so it shouldn’t matter” or “My client’s not going to be an official resident of that state for a while.” Both of these assumptions, as well as other related assumptions, are problematic. Here’s the simple reason why: State counseling licensure boards exist to protect everyone in that particular state. It ultimately doesn’t matter how long that person is there. Yes, state counseling licensure boards do things such as process our applications and ensure that we are getting enough continuing education. But they do these things to serve their primary purpose: protecting the public. The laws they enforce won’t allow just anyone to call himself or herself a licensed professional counselor, which helps ensure that the public receives proper, ethical care. Following that logic, to protect people within their borders, these boards won’t allow just anyone to “telehealth in” from another state to provide care. Yes, we can argue that this sometimes presents a barrier to providing clients needed care. Yes, we can argue that it’s a barrier to quality mental health care in general. Hopefully, we can take it many steps further, arguing vociferously until we have a national counseling licensure or at least reciprocity between states. In the meantime, however, we cannot ignore the legalities and liabilities of the situation. And it doesn’t mean that we are currently without options. Some states will allow counselors to practice there temporarily, but this will require you to do some research and to make some contacts. A good starting point is Epstein Becker Green’s telemental/telebehavioral health survey (see ebglaw.com/telemental-telebehavioral-survey). This survey endeavors to track telehealth laws as they pertain to the provision of mental health care in all 50 states. It breaks down telemental health laws not only by state but also by professional licensure. The survey includes information on whether each individual state allows out-of-state providers to temporarily practice within the state, and it also includes links to governing boards. It is also important to be aware of your own state’s licensure laws to ensure that they don’t include any restrictions that might affect you. As always, consultations with your attorney and your liability insurance company are also advised. You must also be aware of other ethical, legal and counseling ramifications before providing telehealth services (for more, see tameyourpractice.com/telehealth). With a bit of due diligence, you may be able to continue providing care to clients in many interstate situations. Having a website is a building block that is integral to most successful businesses these days. This is no different for counselors running a nonprofit, agency, private practice or other venture. Increasingly, people are connecting with their service providers by first encountering them online through directory listings and websites. Even when referred directly to a counselor by someone else, many prospective clients want to read more about the counselor before making contact. The expanding importance of websites leads to various topics, including creating quality content that attracts, and connects with, the people for whom you or your organization are best suited to provide services. Before that can happen, however, people need to be able to find your website. To that end, I want to discuss some important recent developments that affect the visibility of websites. For good measure, I’ll also cover some items you should review to ensure compliance with the 2014 ACA Code of Ethics. What’s the big deal about SSL? SSL, or Secure Sockets Layer, is the encryption protocol for websites and browsers. If a site is using SSL, you will see “https” instead of “http” in front of the internet address/URL. Depending on your browser, you may also see a lock, the word “Secure” or both. In the past, SSL was used primarily on e-commerce sites. The prevailing logic at the time was that the SSL level of security was necessary only when carrying out financial transactions. Later, any site featuring accounts or logins was added to the list of those needing this higher level of security. Security: The use of SSL can help prevent malware/viruses on your website. Even if the only way that people submit information through your website is a contact form, you don’t want someone to have the potential of spying on everything submitted via that form. Search engine optimization (SEO): SEO is the process of improving how your website performs in searches. In short, you want your website at or near the top of the page when people search for specific terms (for example, “counselor your town”). Google “punishes” sites in search results that don’t use SSL. 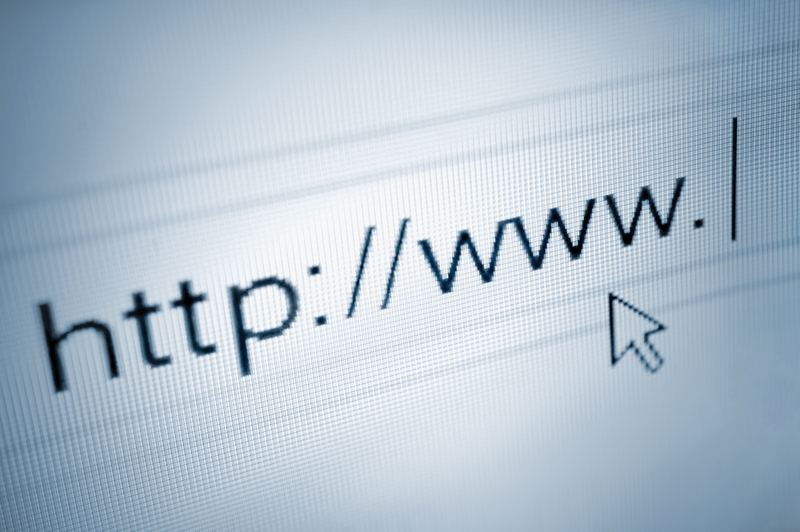 This means that your website may be less likely to be found by potential clients if you aren’t using SSL. Ethics and professional appearance: This past July, Google Chrome started showing sites as “Not Secure,” along with a red caution triangle, in the Chrome web address bar if they aren’t using SSL. This isn’t likely to make a good first impression on potential clients who are investigating your services. Furthermore, the 2014 ACA Code of Ethics requires that we take reasonable measures to protect people’s privacy and confidentiality. Fortunately, SSL has become much easier to implement, and many web hosts offer it for little or no cost. One program that many participate in is called Let’s Encrypt (letsencrypt.org). Be sure to check with your web host or web developer to address this if you haven’t already. Pro tip: To learn more about SEO, check out the excellent beginner’s tutorial at moz.com/beginners-guide-to-seo. Pro tip 2: Now is the time to incorporate video. Not only does video provide an opportunity to let clients “meet” you and your organization, but it also tends to help with SEO. Counselors in private practice have reported significant success in having videos of themselves speaking about counseling and their approach or even giving tours of their office. Videos along these lines can help clients connect with us and feel more at ease about contacting us. There isn’t necessarily a specific way or format in which these need to be posted, but they should be readily accessible. It may be a good idea to have them somewhere in your menu structure to ensure that you have accessibility covered. Do you have testimonials or reviews posted on your site? Although these can be incredibly helpful for most businesses, there are some very important restrictions and caveats that counselors must follow. 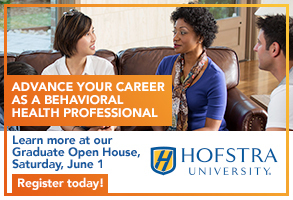 (For more, see ct.counseling.org/2015/04/ethical-pitfalls-of-online-testimonials-and-reviews/). Now is a great time to add some testimonials from colleagues and referral sources. You likely have social media such as your Facebook page linked from your website. So, be sure that you also have an updated social media policy available on your site. Want to know more about improving your website? Do you have specific questions? Do you have suggestions for what to cover in a future Technology Tutor column? Drop me a line. Because most counselors have flown under the “meaningful use” radar so far, they may not be familiar with the term health information exchange (HIE). Moving forward, however, it will be important for counselors to educate themselves because the model for provision of care in the United States continues to move toward that of interoperability and integrated care. In this article, I discuss the basics of HIE and the reasons that counselors need to understand it. The picture of how HIE came about is complex. It developed over many years and includes previously existing Medicare and Medicaid programs, programs created by the Affordable Care Act, as well as the Health Information Technology for Economic and Clinical Health (HITECH) Act. The overarching goal that resulted in the genesis of HIE was that of interoperability as a critical component of improving the quality, efficiency and safety of health care delivery while reducing its overall costs. As described on the HealthIT.gov website, interoperability is generally accepted to mean the ability of two or more systems or components to 1) exchange information and 2) use the information that has been exchanged. The promise of interoperability is that health care providers can readily share and use each other’s information in the provision of services. This means that if you visit your primary care physician (PCP), who then sends you to a specialist, that specialist should be able to receive your records from your PCP before you arrive. In other words, there is no need for you to cart your records around and report the entire story over again. There is no need to repeat tests that have already been completed. This also means that in emergency situations, a hospital should be able to quickly access your medical history and know exactly what medications you are currently taking. From a big-picture standpoint, interoperability also means that data can be aggregated more quickly and effectively to track things such as outbreaks of the flu or other illnesses. 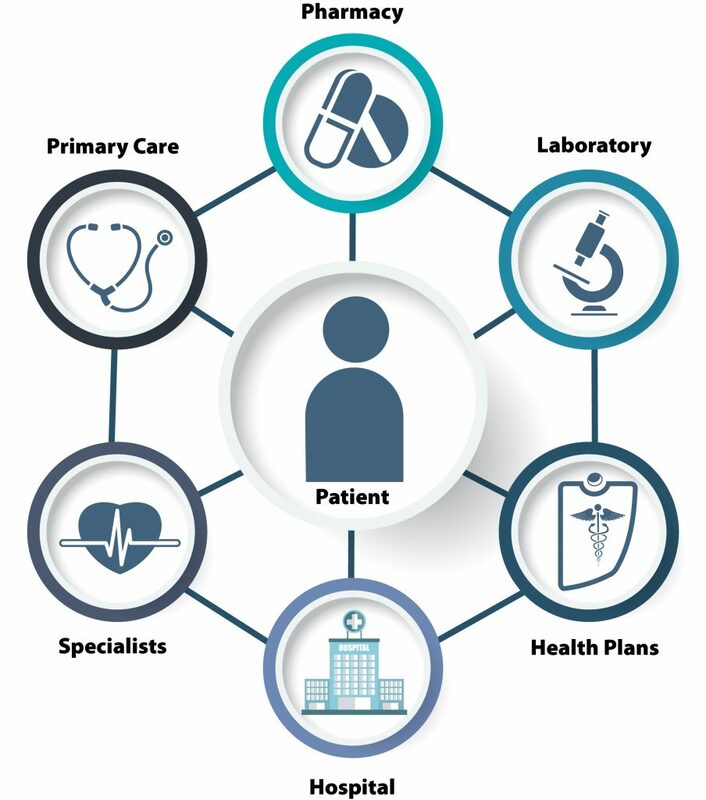 These are just a few examples of the benefits of interoperability, but they illustrate why it is considered critical to the mission of the Affordable Care and HITECH acts. The Meaningful Use program was created to provide incentives for EHR adoption by eligible professionals. The program also includes reimbursement penalties for those who do not participate. (For more, see tameyourpractice.com/blog/meaningful-use-and-mental-health-professionals.) Although the Meaningful Use program tasked providers with adopting EHRs that could exchange information, that process has been slow, and it is not always efficient or effective. In addition, counselors have not been included in the incentives or penalties for meaningful use (the same holds true for all mental health providers apart from those who prescribe medications). HIEs are meant to speed up the achievement of interoperability while also filling in gaps and providing a central repository of records. Providers who haven’t fully achieved the ability to exchange information with other providers can at least provide it to the HIE. For example, rather than a hospital having to query multiple providers for records, it can query just one system, the HIE, to get vital information about a patient. The time savings in emergency situations can also save lives. So, if counselors haven’t been a part of meaningful use, why do we need to pay attention to it? The fact is that despite of our exclusion from the Meaningful Use program, the national engine pushing for all health care providers to achieve interoperability has still been running. States have been incentivized to help move that engine along too, and their ability to continue to fund their programs is attached to milestones. To that end, states are increasingly enacting measures requiring participation in HIEs or other programs in an effort to achieve widespread interoperability. For example, here in North Carolina where I am located, participation in HIE has been mandated for any health care provider receiving state funds. This includes not only those who accept Medicaid, but also those who work with employees of the state (through a plan currently managed by Blue Cross Blue Shield of North Carolina). As of this writing there are over 700,000 people in North Carolina dependent on the State Employees’ Health plan and almost 2 million Medicaid recipients. Counselors will be able to continue serving those clients only if they meet the HIE mandate deadlines (currently June 1, 2018, for Medicaid and June 1, 2019, for state employees). Other states have or are pursuing similar measures. The following website links to each state’s respective HIE website so that counselors can stay up to date on developments: healthit.gov/topic/onc-hitech-programs/state-health-information-exchange. Perhaps more important, as other providers experience the benefits of efficient and timely exchange of health information, they are looking to partner with other providers who already possess this capability. In the future, providers who cannot exchange health care information through their EHRs or HIE may find themselves receiving fewer referrals from other health care providers. This same effect may also be experienced with clients as they begin to understand and appreciate the value of having all of their health care data conveniently accessible in one location, most likely through their PCP. The momentum for EHRs and interoperability is also being bolstered by other initiatives, including reimbursement based on outcomes. As part of the Affordable Care Act — and currently primarily associated with the Medicare Access and CHIP Reauthorization Act of 2015 (see tinyurl.com/MACRA2015) — is a move toward merit-based payments for providers, as opposed to the current service-based payments. In a merit-based payment program, providers are paid more when achieving efficient, effective outcomes instead of being paid for providing individual services. In other words, providers are incentivized to work harder to help clients achieve positive outcomes rather than “rack up charges” by providing multiple services. Participation in these programs currently requires a data management system that can not only track but also report outcomes electronically. It is likely that similar programs will find their way into the commercial insurance market and beyond in the future. Exploration of this topic would require an article of its own. I bring it up here to note that the forces behind this movement — and their reasons for pushing for all health care providers to use electronic records and achieve interoperability — are myriad and regularly making progress. These topics take on additional weight when combined with other initiatives. For example, we can strengthen our argument that counselors should be able to join the ranks of mental health professionals who provide services for Medicare recipients if we demonstrate an understanding of current reporting and reimbursement policies. 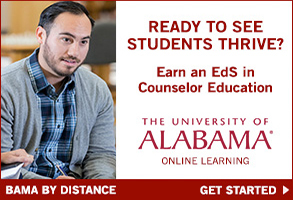 As the world becomes further steeped in technology, it is important that counselors keep up. This will allow us not only to keep pace as providers and businesspeople but also to better serve our clients. I recently did a webinar with the American Counseling Association titled “Private Practice: Choosing a Best-Fit EHR” (see aca.digitellinc.com/aca/sessions/10741/view). It was telecast May 16 and is now available on demand. In the webinar, I explain how counselors can select electronic practice management resources to meet the unique needs of their practice and explore how to avoid costly mistakes. Are you considering an EHR to meet your technology/HIE needs? Be sure to check out the freely available reviews on my website at tameyourpractice.com/EHRReviews. Unlike social media, scams aren’t something new brought on by the advent of technology and the internet. Con artists, swindlers, charlatans, grifters — whatever you might call them — have existed since the dawn of humanity. What is new, however, is that these purveyors of fraud can carry out their schemes with more reach, speed and efficiency because of technology. A number of these scams are even targeted directly at mental health professionals. I have heard about some of these scams often enough over the past few years that I thought it would be helpful to summarize a few of them here to help prevent counselors from getting ensnared. This is by no means an exhaustive list because new scams are cropping up all the time. We can expect continued and probably increased attempts aimed at mental health professionals because medical data carry such high value. It probably doesn’t help that counselors are altruistic and potentially more prone to easily trusting others. This makes many of us ideal targets for scammers. In my experience, the overpayment scam has been the most prevalent in recent years. It starts with the counselor receiving an email requesting services from someone. Typically, the prospective client suggests that they are out of town or out of the country but want to secure several appointments for when they return. They offer to send a check for payment upfront for multiple sessions. Shortly after the check is received, the person contacts the counselor, saying either that they have “mistakenly overpaid” or suddenly realized that they won’t be in town for all of the sessions for which they have paid. The person then asks the counselor to send a refund for the difference, typically via wire transfer. The scam is that the check the person sent is fraudulent. The counselor sends the refund, only to find out later that the check has bounced or been identified as a forgery, so the counselor has no recourse. There are slight variants to this scam, including the con artist stating upfront that they are going to overpay and request a refund. In another frequent variant, the con artist suggests that they want to pay for services for a child, relative or friend who lives in the counselor’s area. In one of the most convincing versions I have heard about, the scammer suggests that he or she is part of a couple seeking counseling. 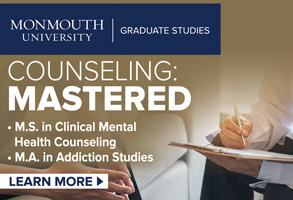 The person goes into great detail about their issues and their desire to get several counseling sessions in while they are “back in town.” Alternatively, they have a very convincing reason why they can’t attend counseling where they live and thus are seeking services elsewhere. Sadly, counselors who fall victim to this scam can end up dealing with more trouble than a simple loss of funds. If they cash the fraudulent check, the bank and, potentially, federal investigators may investigate to ensure that the counselor is not a willing participant in the scheme. Although I haven’t seen the HIPAA phishing email lately, it’s a good example of how convincing phishing scams can look. 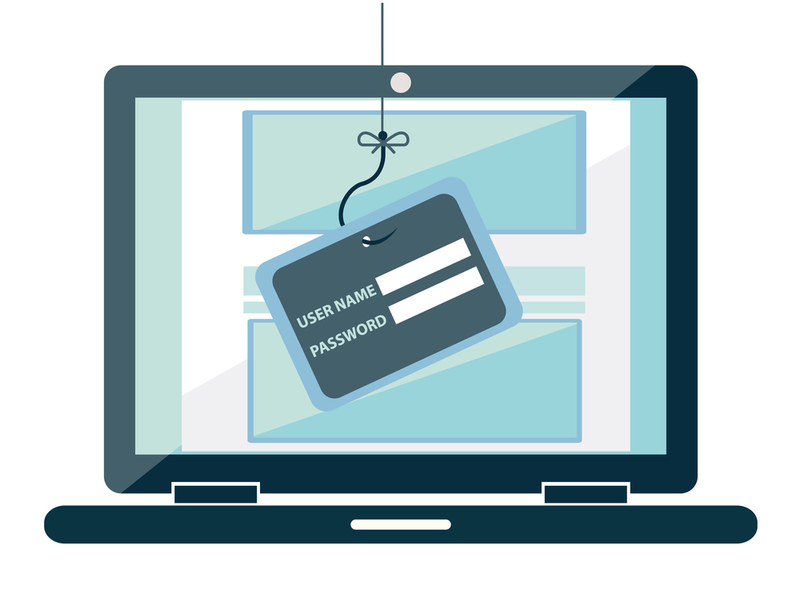 A phishing attack is when someone with less than good intentions attempts to get information from you, typically by posing as another entity. The email was on mock HHS letterhead and suggested that the recipient might be included in the HIPAA Privacy, Security and Breach Rules Audit Program. The link led to a website that was marketing cybersecurity services. It was convincing, in part, because of how similar the addresses were to the legitimate HHS website, which exists at hhs.gov, and the HHS email address of OSOCRAudit@hhs.gov. For more details on phishing scams and tips for recognizing and avoiding them, read my blog post at bit.ly/TYPphishing. In a variant to this, you are invited to interview on an existing show. After the recording and a producer raving about how you’re “a natural” for radio, they spell out what it will cost to have your own show. Many counselors have been receiving requests from third-party vendors, purportedly on behalf of private insurance companies, requesting client documentation for purposes of a “chart audit.” These can actually be legitimate requests. Insurance companies use this information for internal purposes, such as Affordable Care Act reporting, justifying rate increases and more. The chart audit isn’t the same as an audit to gauge medical necessity. It is more about quantifying things such as the frequency of certain diagnoses and codes. Interestingly, the letters, emails and phone calls from these third-party vendors tend to be vague and ask for complete charts when those aren’t always necessary. This makes these requests look like scams. It can be especially concerning when something resembles a scam, yet the vendor mentions specific clients and dates of birth within the communication. If you are in network with the insurance company, some question exists about whether you need to participate in these audits. Review your contract and consult with an attorney if you are unsure. As a first step, ask the third-party vendor to provide official documentation from the insurance company proving that the vendor is carrying out official business on the insurance company’s behalf. It is also prudent to verify this directly with the insurance company. My understanding is that counselors who are out-of-network providers are under no obligation to respond. Trust your instincts: If red flags are raised for you, stop and investigate. Seek consultation, ask colleagues about it and do an internet search to determine whether the situation you are encountering has been seen before by others. Typical warning signs include prospective clients stating how many sessions they want and when, providing false phone numbers and asking for very specific modalities of treatment without apparent justification or understanding. In addition, any request from an unknown entity made via email or over the phone for client information or sensitive clinician information should be met with a healthy dose of skepticism. Take your time: As natural helpers, our instinct may be to respond to requests promptly. If a request makes you feel uneasy, however, it is important to slow down and ensure that it is legitimate. Use caution with checks: Especially in this day and age when credit card payments are the norm, accept payment via check only from trusted parties and only for the correct amount. It is important to note that you are responsible for any funds deposited via check. You are not safe just because a check initially clears. If the check is later discovered to be fraudulent, you will have to refund that money to the bank. Report it: Many government agencies are involved with battling fraud and crime. The following website can help you determine where to report a scam: usa.gov/stop-scams-frauds. Have you received a communication that you’re unsure about? Do you think you may have identified a new scam? Drop me a line at rob@tameyourpractice.com so we can investigate. If you have given even a cursory observation to the advertisements that appear on Facebook, during Google searches or on many of the websites that you visit, you will have noticed that these advertisements are targeted at you. The ads might be related to web searches you have performed, the area you live in or something that is generally popular with your age group. 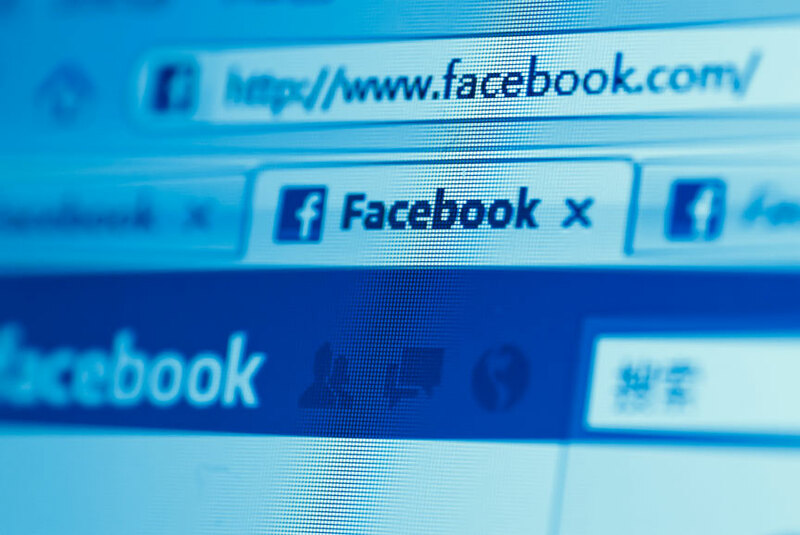 In other words, to target advertising to their users, Facebook is collecting data from many different sources about both online and offline activity. So, this is not restricted only to the activity on Facebook. What does this have to do with our clients (and potential clients)? I continue to witness counselors engaging in referrals and case consultation in online forums such as Listservs and Facebook groups. This is despite my previous article on this topic last year in Counseling Today (see bit.ly/discussingclients) in which I discussed the difficulty of maintaining confidentiality for clients and the PIT principle (permanence, identity, transferability), and even with American Counseling Association Chief Professional Officer David Kaplan clearly stating that discussing clients online is an ethics no-no. The existence of marketing databases curated by entities such as Facebook and Google adds yet another reason that we need to consider other ways of addressing client needs. Now let’s look at it from a targeted marketing standpoint. Johnny’s call to Susie didn’t happen in a vacuum. Prior to calling her, Johnny did a search for “Counselor MyTown” and visited Susie’s website. These are traceable behaviors tied directly to Johnny, and they likely will end up in the databases used by entities such as Google and Facebook to target advertising. 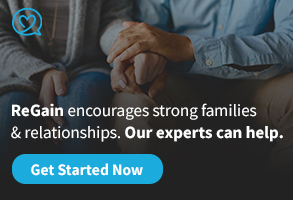 Based on these behaviors, Johnny is likely to start seeing ads on his computer for mental health treatments, counselors in the area and self-help books. It is important to note that Susie Counselor is now probably connected to Johnny in these databases because he visited her website and placed a call to her. So, when she posts about the 30-something male with depression shortly after receiving Johnny’s call, it’s not a huge leap for database algorithms to figure out that this is the same Johnny Client who recently visited her website and called her — the same Johnny Client whose address, birthday and many other pieces of information already exist in the databases. Except now, thanks to Susie, those databases have learned that Johnny is dealing with depression. They may well have already known what insurance Johnny has, but if not, that’s another bonus that Susie provided for them. Keep it offline: Go old school! Keep your own notebook or database of people you can refer to. Note their strengths, location, the insurance they accept, etc. Network and get to know them to elevate the quality of your referrals. Raise awareness: Sometimes, counselors need to be reminded of things that we often tell our clients. For instance, just because others are engaging in a behavior doesn’t make it OK. Make others in your online forums aware of the privacy issues surrounding discussing referrals and cases online. Point them to this article and to my previous article that I referenced earlier. Point them to the pertinent passages in the ACA Code of Ethics (noted below). Even if they aren’t counselors, the ethics codes for social workers, psychologists, marriage and family therapists and psychiatrists contain similar passages, so their concern for client privacy and confidentiality should be just as great. Above all, be kind and compassionate in your approach. Note the inclusion of “prospective” clients. Do you have the person’s consent before disclosing anything about them online? Can you accomplish your goal without disclosing information about them online? If so, what is your legal or ethical justification for disclosing? Do clients (or prospective clients) fully understand the ramifications of you disclosing information about them online? Do they understand how few details it might take for computer algorithms to identify them? Are they aware of all the options for accomplishing the goal, and do they approve of online disclosure? Is there any way that this standard doesn’t completely rule out using online forums for any disclosure? 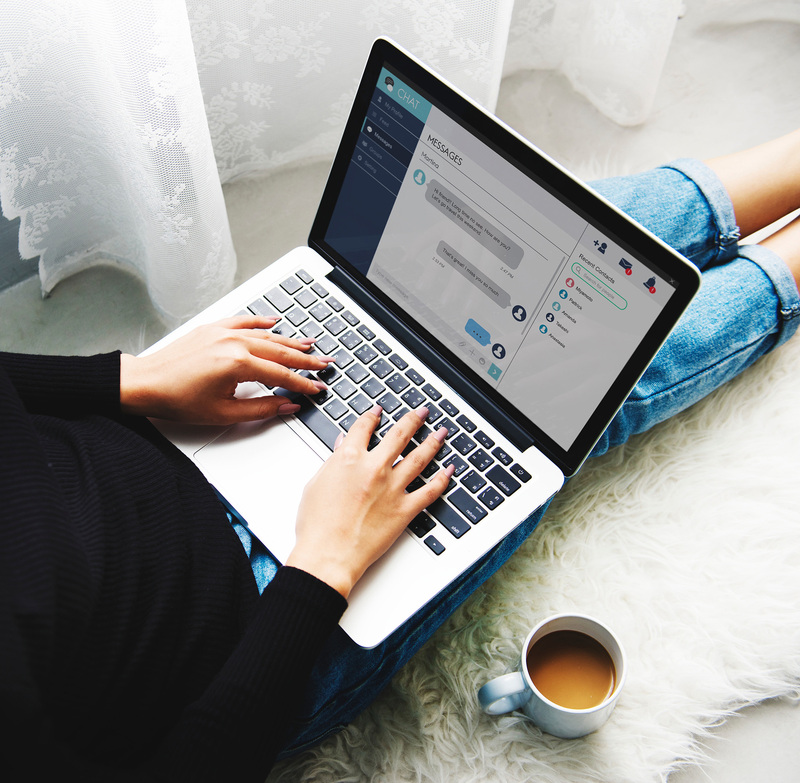 Based on my experience and expertise, there simply is no way that counselors can reasonably ensure client privacy if they share any details about clients in most online forums. For an interesting discussion of this topic, including an interview with social media policy expert Keely Kolmes, check out Episode 104 of the TherapyTech with Rob and Roy podcast.